I’ll be set up at the Broken Icon Comics tables (A247-A248) with friendly creators Eric Watkins and Rob Dumo. We’re going to be having a ball and selling comics hand over fist. 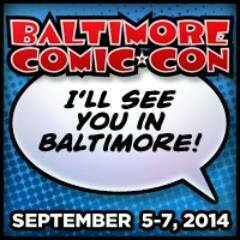 Yes, this year’s Baltimore Comic-Con is going to be awesome. New comics galore (from new issues to new short stories to new pitches). Plus tons of friendlies tabling and walking around. I’m really looking forward to this show. If you’re going to be around, stop and say hi! This entry was posted in Conventions. Bookmark the permalink.